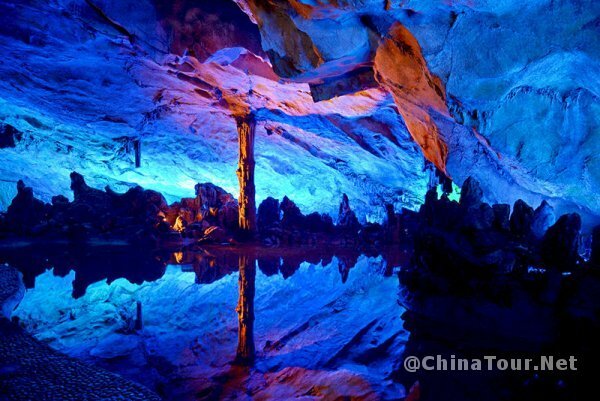 The cave is about 240 meters long and a trip last about one hour. 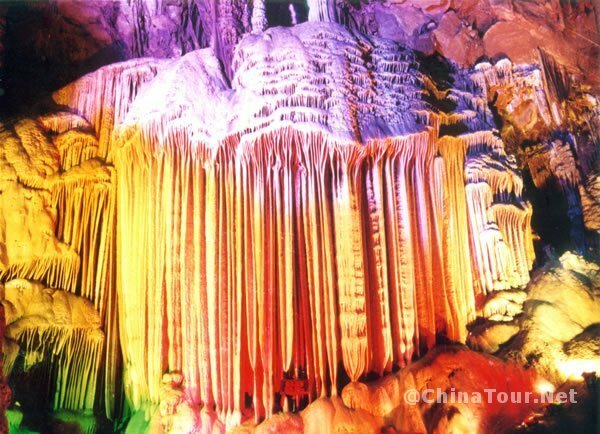 Along the u-shaped route, visitors can see those oddly shaped rocks, stone pillars and your guide will give you interesting story about them. 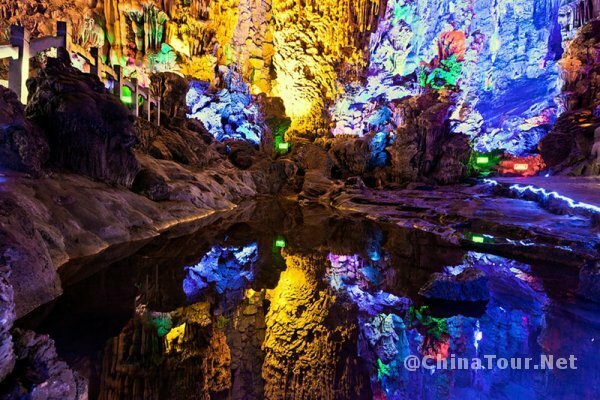 Illuminated by the colored lights, the cave looks like a dazzling palace that’s why the cave is otherwise known as the Art Palace of the Nature. 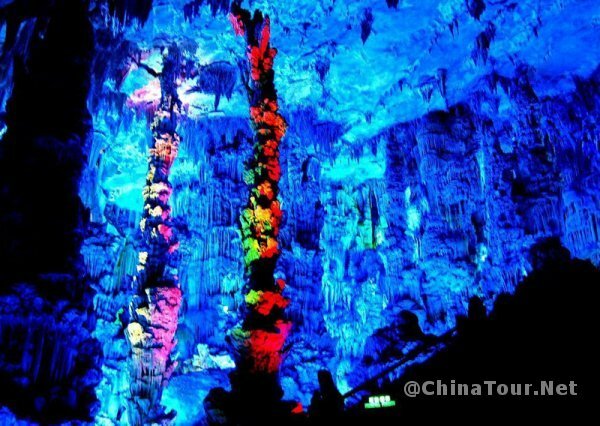 Since the cave opened to the public in 1962, millions of tourists have visited it. 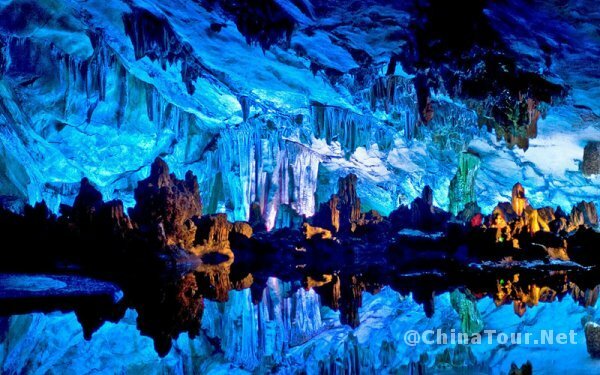 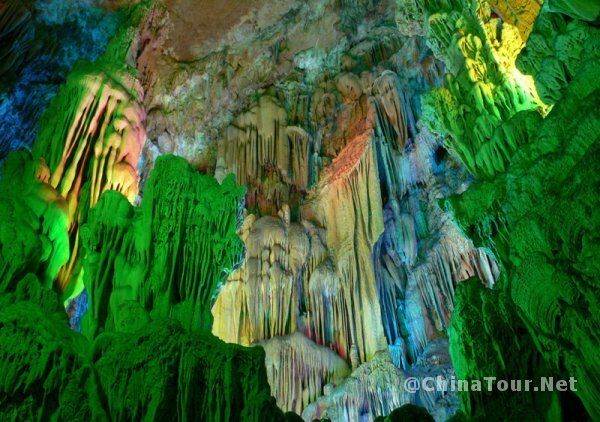 Now the cave is one of the main tourist draws in the area, just under the famous Li River.